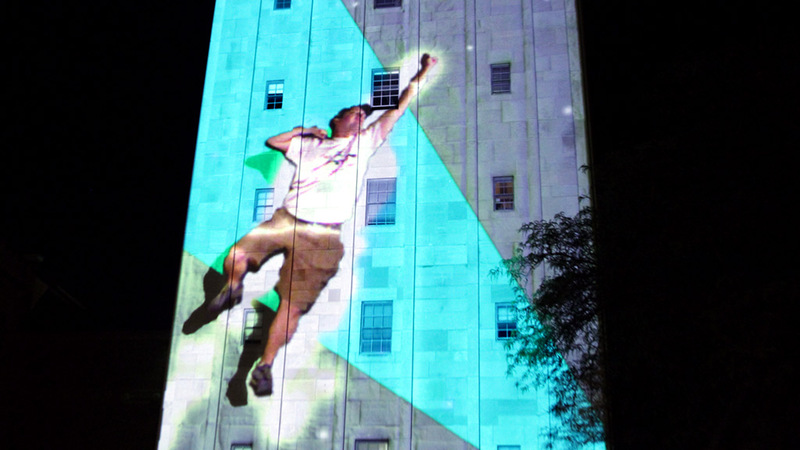 After Superhero NYC, we redesigned the experience to keep transforming people into superheroes, this time in Ann Arbor with flat retro-comic visuals and some new superpowers. 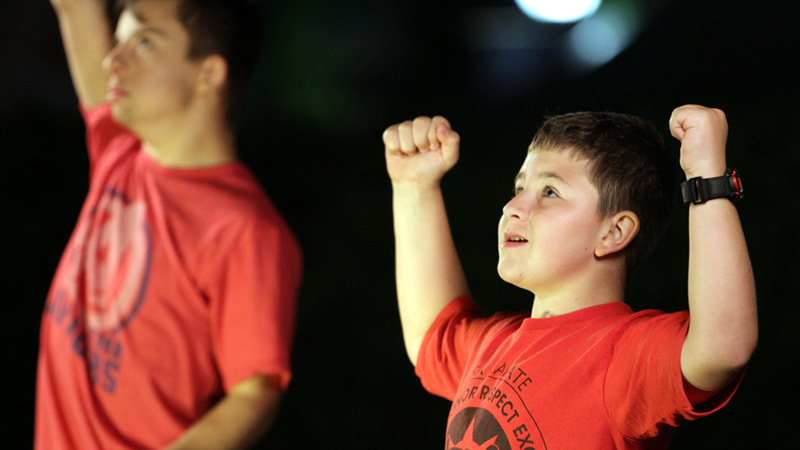 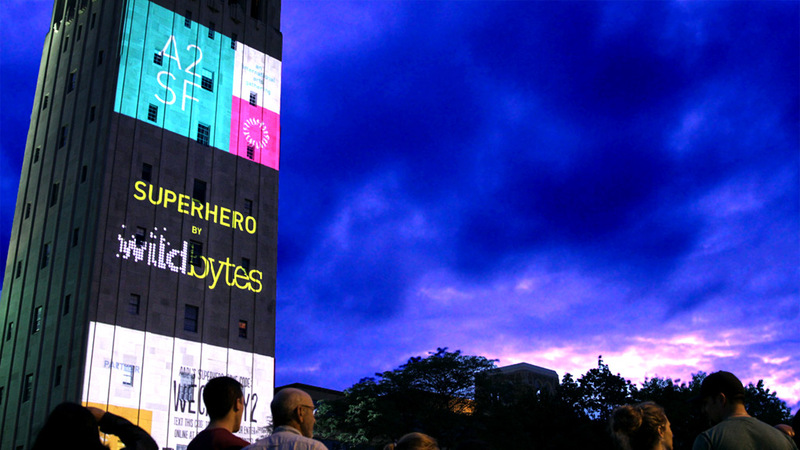 WHY Ann Arbor Summer Festival commissioned a new version of Superhero to bring Wildbytes’ cutting-edge creative technology to the acclaimed festival. 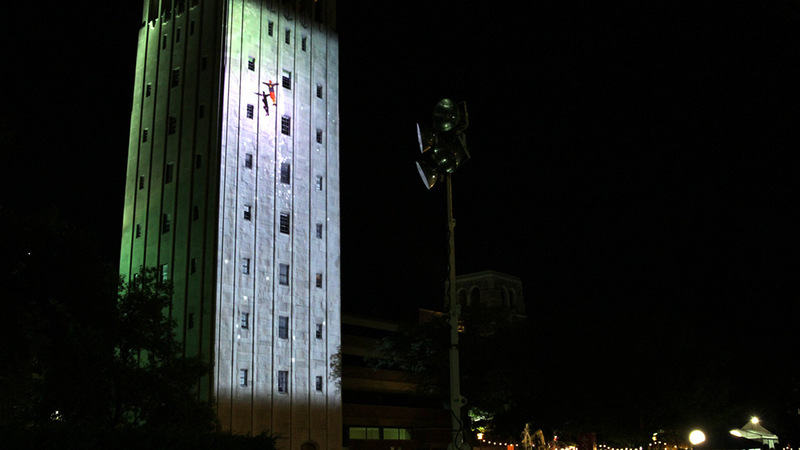 The challenge: bring to life a 212-foot-high historical tower. 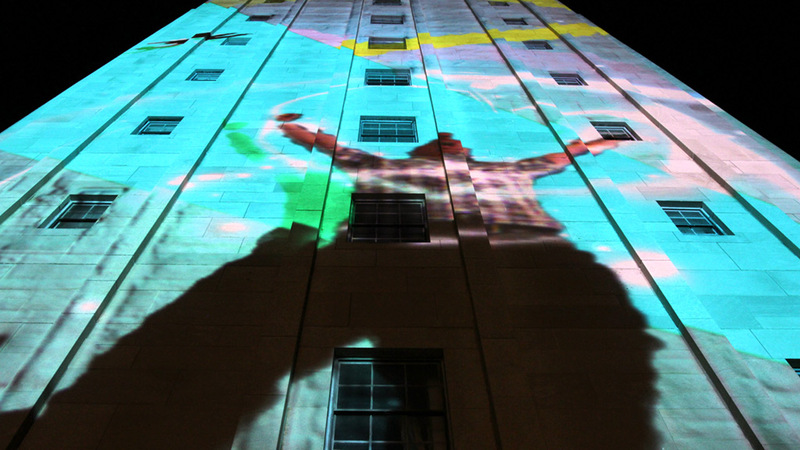 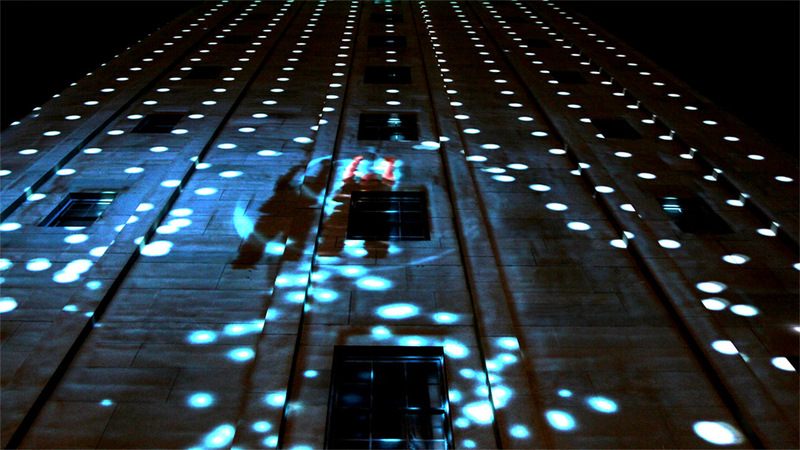 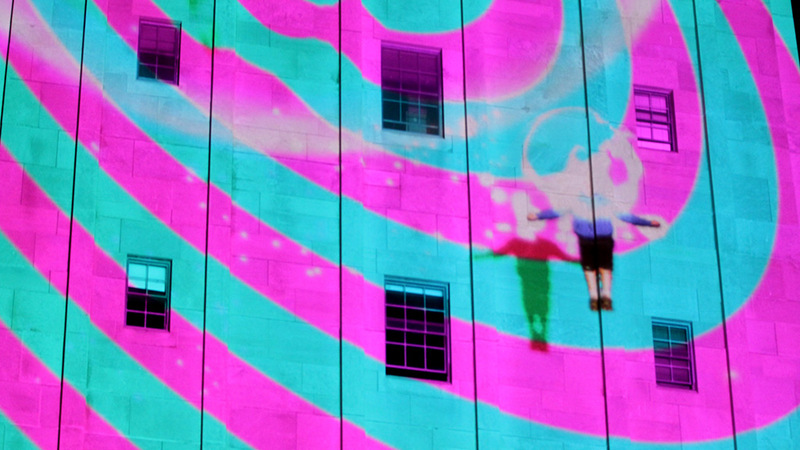 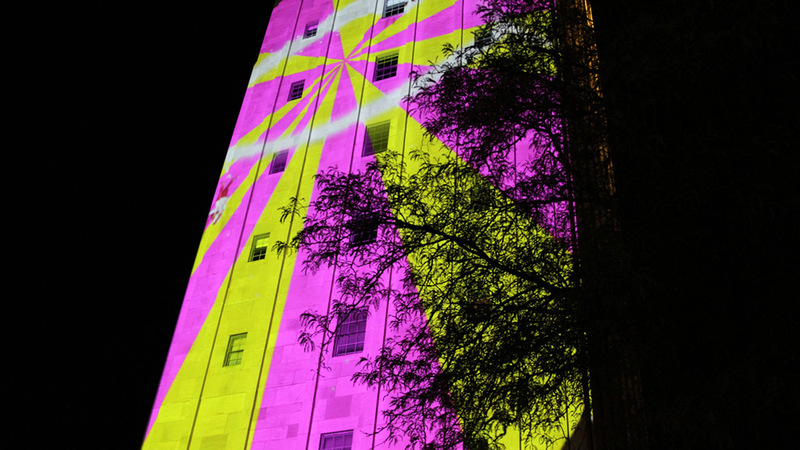 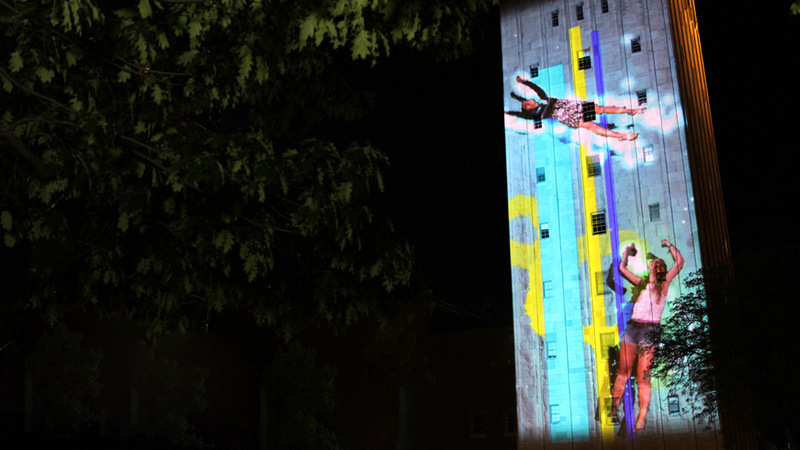 WHAT Wildbytes wrapped Ann Arbor’s Burton Memorial Tower with custom-made colorful animations that transformed the architecture into a massive comic-like canvas that participants could fly across, unleashing their superpowers. 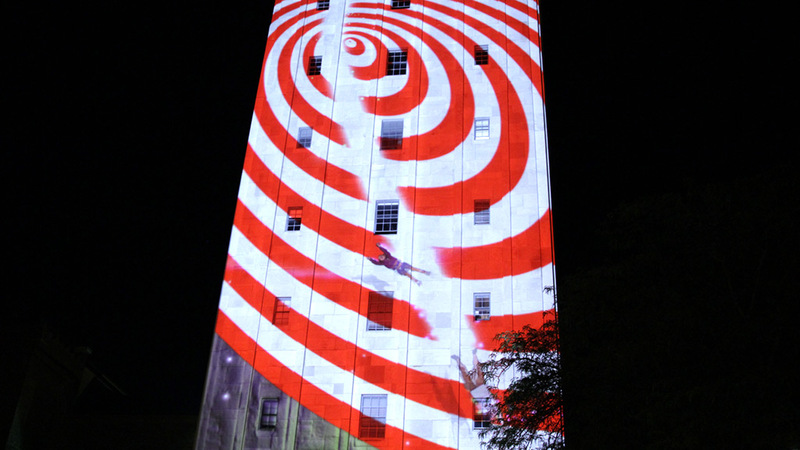 The new version also included new awesome superpowers, like cloning yourself into a multitude of yous, transforming the facade into a ball pool that follows your movement, or painting it with a multitude of colors as you fly by.